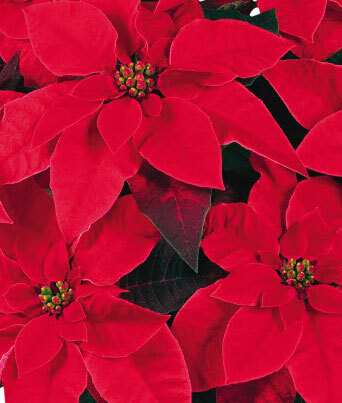 Short variety of poinsettia with the standard bright red color. Perfect for table tops! Photo courtesy of Ball Seed.